Stairs become a hindrance when you age or have a disability. Not only are they a hazard, increasing risks for falls, but they decrease your mobility and prevent you from accessing the rest of your home. Moving into a one-floor house is not a practical option, and your existing home can be modified for better accessibility. Stair lifts are one option for this. As affordably-priced mobility devices, stair lifts allow you to get up and down stairs with ease. A stair lift is built with a straight or curved design, and prices for each differ significantly. Straight stair lift prices are typically between $1,500 and $8,000, depending upon model and need. 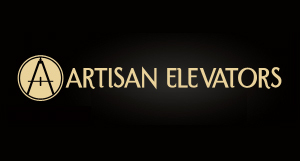 Straight stair lifts, however, are not custom models and easily align with most staircases. These standard stair lifts consist of a track that installs on top of stairs or against a wall and use direct or battery power. 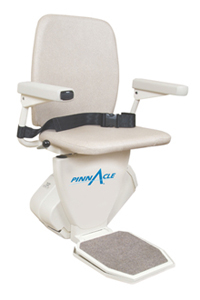 As a result, a stair lift is able to function during a power outage. Standard stair lifts have a general set of features, including a fold-up design, a swivel seat, and emergency switches or sensors. Even with designs that can be installed directly into many homes, standard stair lifts address a variety of needs. Stair lifts are designed for narrow staircases; with a compact design, such a stair lift is installed closer to a wall and folds up. Aside from narrow stairs, porch steps or wheelchairs may need lifts of some kind. A straight stair lift with a weather-tight cover can be installed over outdoor steps, while a platform stair lift, built for wheelchairs and motorized scooters, can be used outside or indoors. If a staircase is not straight, a custom curved model needs to be created. Curved stair lifts operate similarly to their straight counterparts but require a custom rail that matches the shape and angles of a staircase. Significantly more labor is needed to build and install a curved stair lift: Measurements and photographs of your staircase are taken and then given to our factory, which produces a custom stair lift in four to eight weeks. As a result, curved stair lift prices tend to be three or four times those for ordinary models.